An online brief from Ross O’Donovan (@RubberNinja) on Twitter, deadline 27th of each month for possible Retweeting of work. Gives the work Twitter publicity as others follow and contribute. 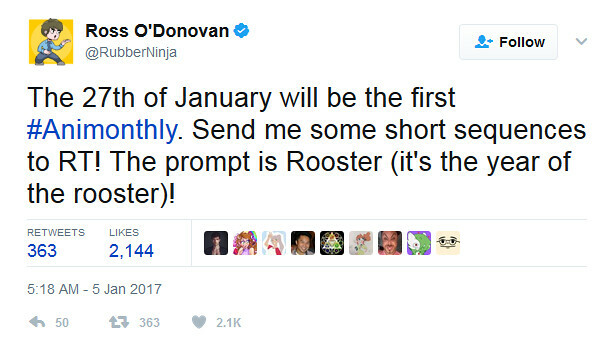 This first one with January 27th Deadline and the word ‘Rooster’. From the ‘Rooster’ word for this brief I wanted to work with 2017 as the Rooster being this Chinese New Year. I researched the roosters to give the film realism. And having the rooster call out in the film I researched sound recordings using the freesound database. Working from research images I made the puppet, crafting the body from foam keeping a solid shape to work from but soft to manipulate and stitch upon, adding wire legs covered in clay. I stitched on fabric feathers and painted with acrylic. An experimentation that worked incredibly for a vibrant coloured figure, making matched painted grass and sky set. 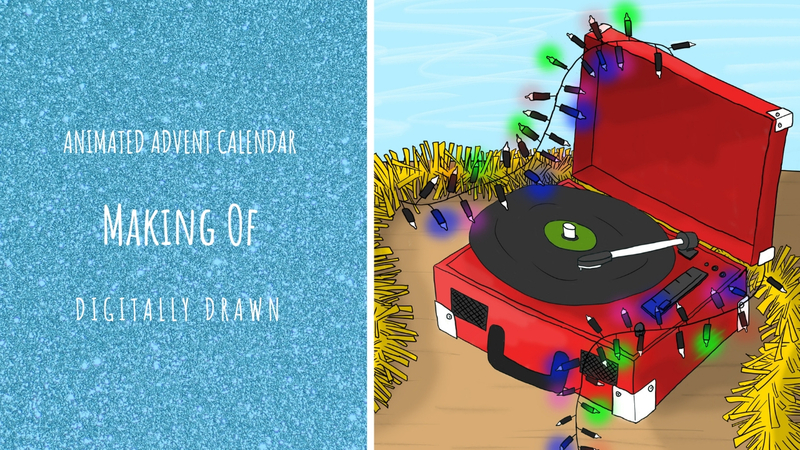 The movements should sync with the audio and have time for the words to move smoothly out of the mouth as the rooster cries. Having worked out the timings beforehand I knew exactly how many frames were needed for each part, making animation quicker and easier. 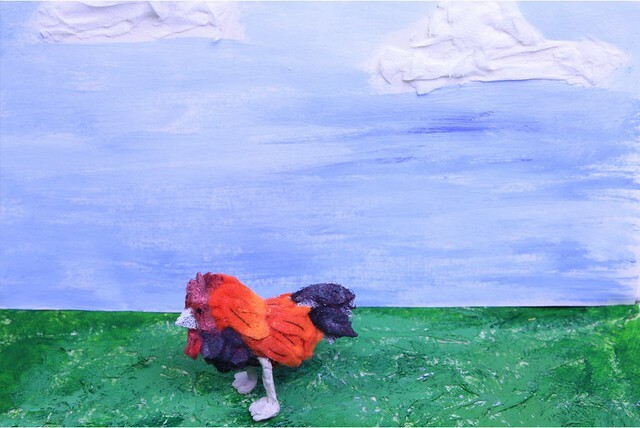 I think the film works for the brief of a short ‘rooster’ animation and was received well on Twitter. 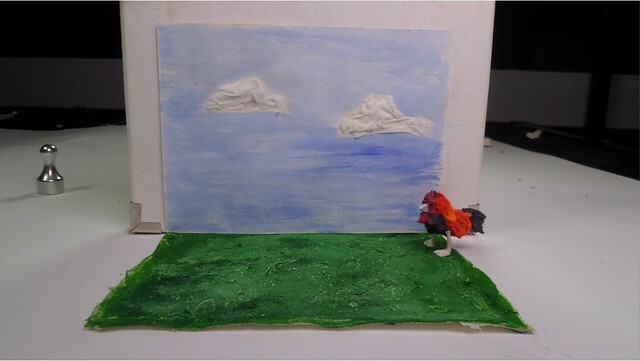 However, it is not as skilled as hoped as the rooster puppet is only 4-4.5cm in size the legs didn’t move realistically and so the walking animation was not as strong as it should be. I shall develop this into another short film that shows strengths of design with minimal movement.